are often game to match their wines with local cuisines or to try different food and wine combinations in order to create excitement. The out-of-the box pairing I recently tried was Sauternes and caviar. 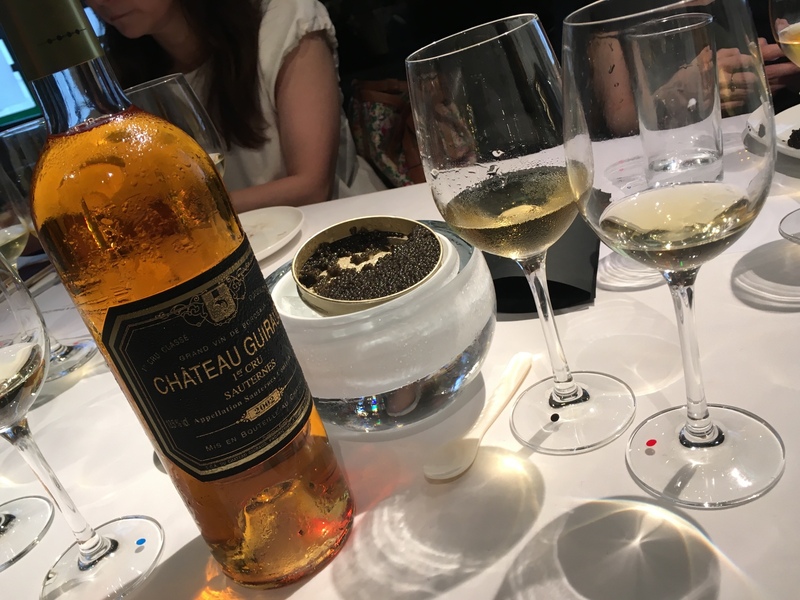 The wine was the Premier Grand Cru Classé Château Guiraud from Sauternes and the caviar was the top-of-the-line Sturia caviar from south-western France. 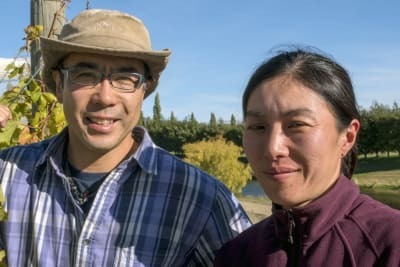 According to brand ambassadors Vincent de Beler of Château Guiraud and Yuna Tegani of Sturia, the companies share a similar philosophy, so presenting both products together in a creative way seems natural. Château Guiraud’s history dates back to 1766. It has been practising organic farming since 1991 and was the first Premier Cru Classé to have received the organic certification in 2011. While respecting terroir and tradition, the chateau also embraces change to suit today’s consumers' preferences. The wine style has changed from powerful and heavy to more elegant and pure. Sturia Caviar produces over half of the caviar in France (14 tonnes of the total 25 tonnes). Sturgeons are farmed from eggs for eight years before their roes are extracted. Sturia takes care of the fishes' living conditions including providing ample space, water and nutrient quality to ensure that they are healthy and produce top-class roes. They also work with various chefs to produce caviar of different maturation to suit their needs. Like wine, caviar evolves in taste with the maturation period, from almond to hazelnut to eventually cashew with a very intense flavour. Vincent stressed that it was a time for sharing and discussing rather than imposing on us what is the best combination. Salty blue cheese and sweet wine is a classic pairing, so it was interesting to see how the salty roe fared with sweet wine. 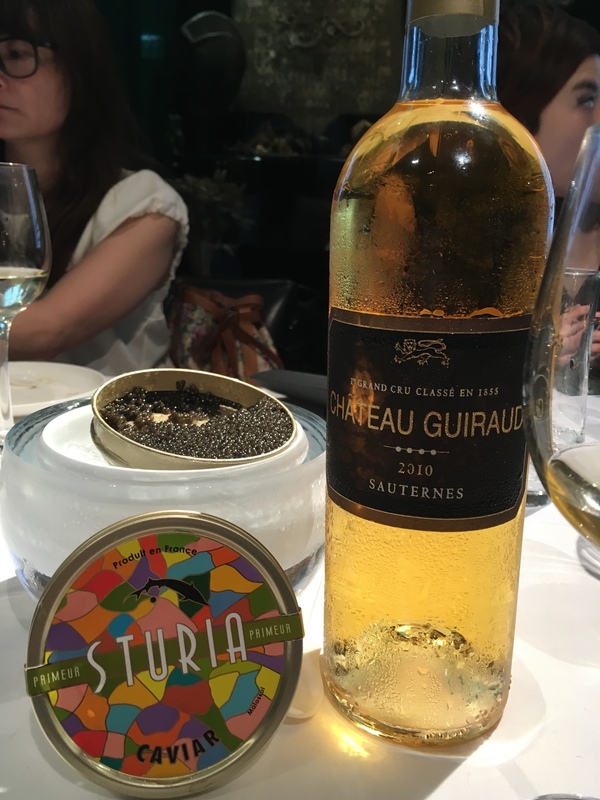 We all agreed that the Château Guiraud 2002 and the Vintage caviar (the signature of Sturia, with six months' maturation) was the best match. 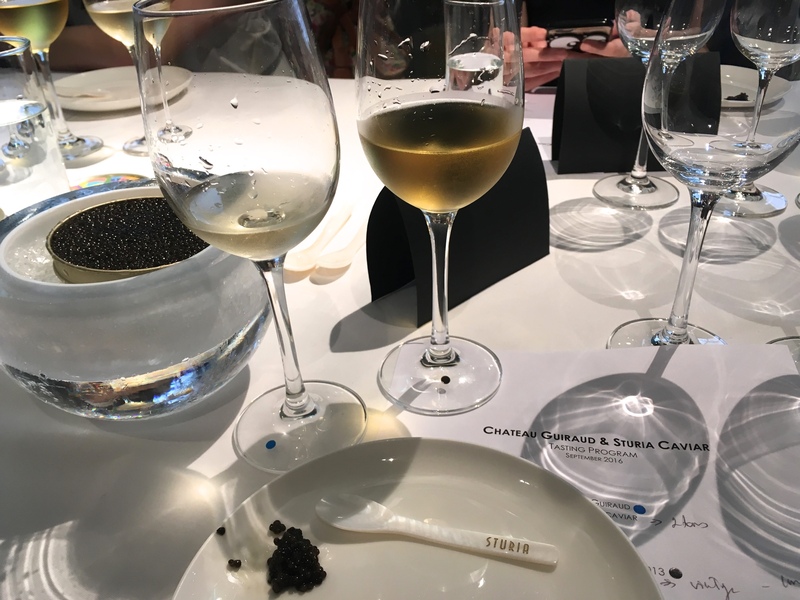 The Oscietra caviar, also with six months' maturation, was delicious on its own, but I felt the wine made it taste too strong – although some guests liked it because the wine enhanced the taste of the sea. The takeaway of this exercise is that food and wine matching is fun and can be creative. We don’t need to like the same pairing, but we can still sit around the table to share and discuss. 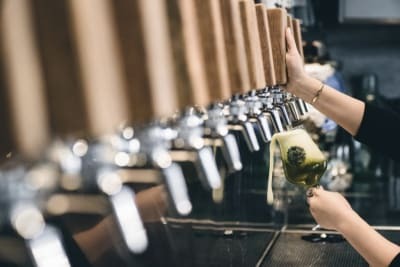 Some consumers are wary that their wine and food choices might not be acceptable by ‘professional’ standards, but we all have different palates and preferences, so we should just follow our taste buds rather than be led blindly by others’ opinions. 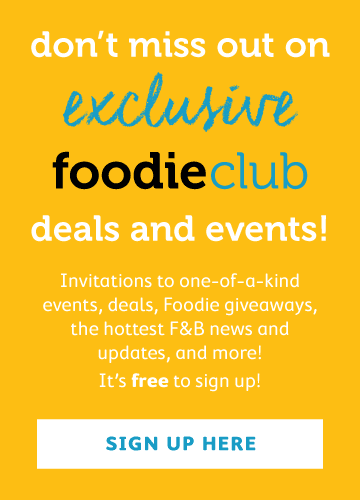 I may not choose caviar with Sauternes, but hey, for those who want a little indulgence during the festive season, why not?